What to do in Barcelona for 3 days? It’s going to be a jam packed itinerary if you want to see the best of this beautiful city. Yet it’s still possible to see all the main attractions, and a few more unique ones, with a Barcelona long weekend. 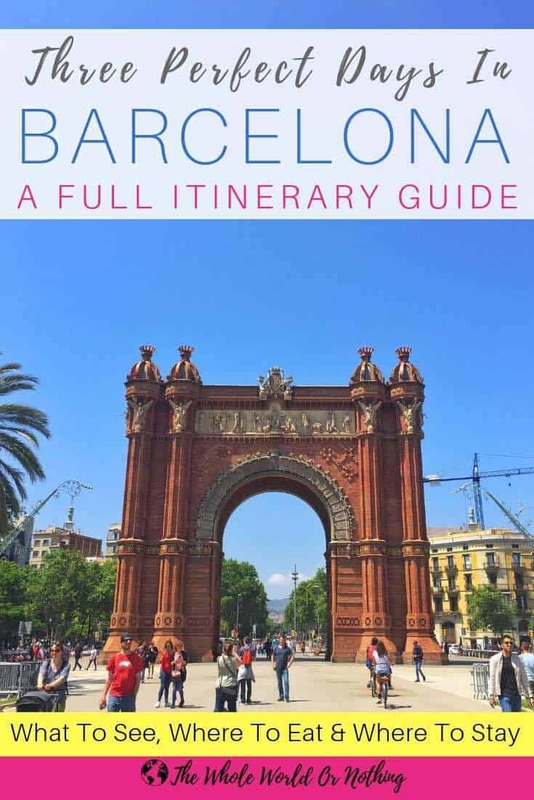 There’s a crazy amount of things that you could put into a 3 days in Barcelona itinerary. 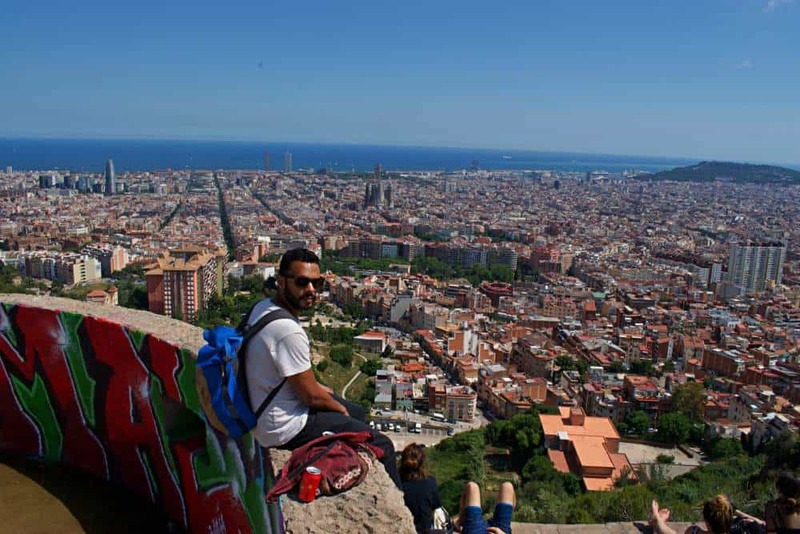 But we’ve saved you the hassle and hand picked the very best Barcelona experiences so you can both see the top sights and have a bit of chill time too. 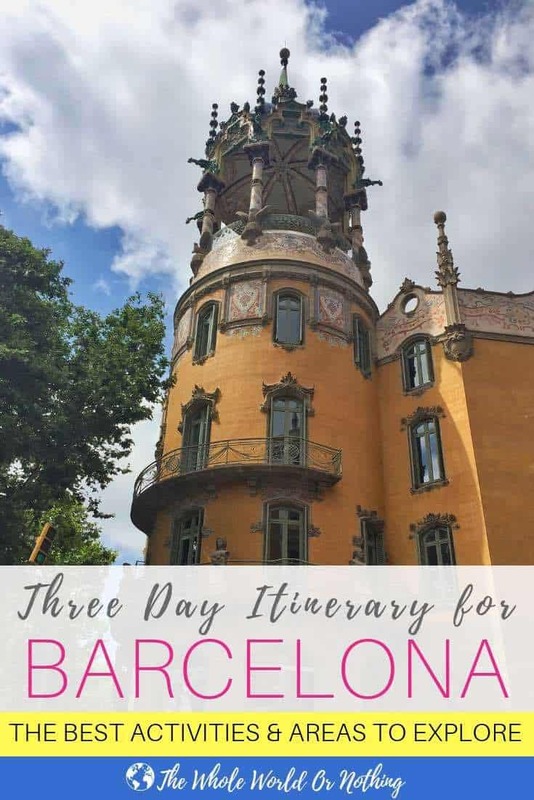 We’ve put each day’s Barcelona activities in a logistically practical order, but feel free to mix and match the days up if you fancy doing day three first for example. Okay let’s get into it. 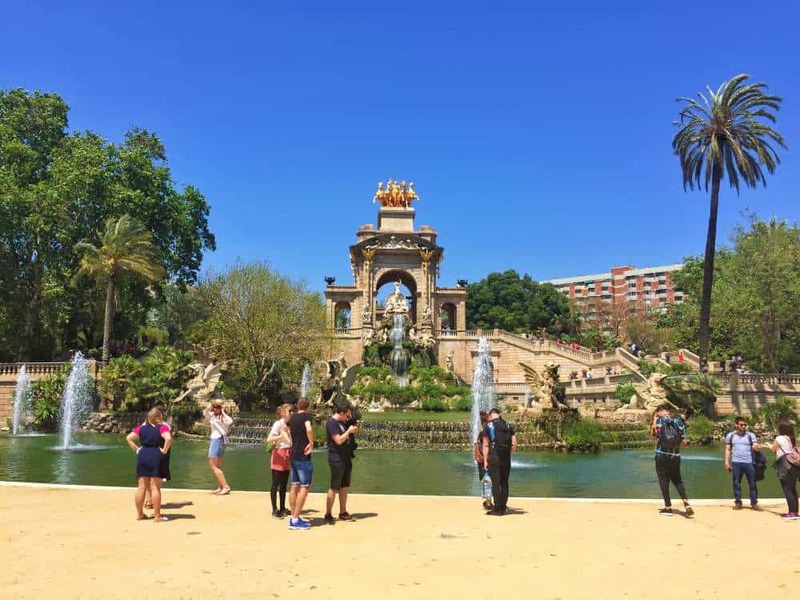 Here’s your 3 perfect days in Barcelona itinerary. Love it or hate it, you simply cannot miss the mighty Basilica of the Sagrada Familia off your list of what to do in Barcelona for 3 days. It’s our first stop of the day for architect Antoni Gaudi’s masterpieces. Construction started in 1882 and incredibly it’s still being built. When Gaudi died in 1926 it was only 20% complete. The expected completion date is 2026, although this has shifted a few times. You can buy tickets at the kiosks just outside, but expect to queue for well over a hour at busy times and that’s only to get your entrance time slot, which could be hours later. Buying tickets online before your Barcelona long weekend is way less hassle and also cheaper. Of course you don’t need to actually venture inside, you can also just admire the different facades from the outside. Okay next we’re onto more of Gaudi’s otherworldly architecture with a trip into the Barcelona neighbourhood of Eixample. 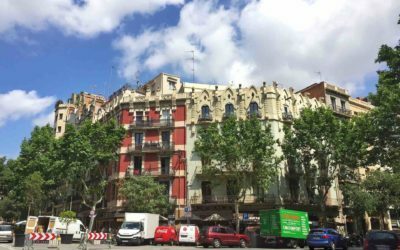 Along Passeig de Gracia you’ll find not only the city’s most prestigious designer stores, but also these show stopping modernisme style facades. There’s Casa Batlló designed by Gaudi in 1900 and next door Casa Amatller designed by Puig I Cadafalch in 1898. On the same street you’ll also find Casa Mila another of Gaudi’s works which was commissioned in 1906. If you’re a serious architecture fan you may want to go inside, and again it is better to be organised and get your tickets online in advance. 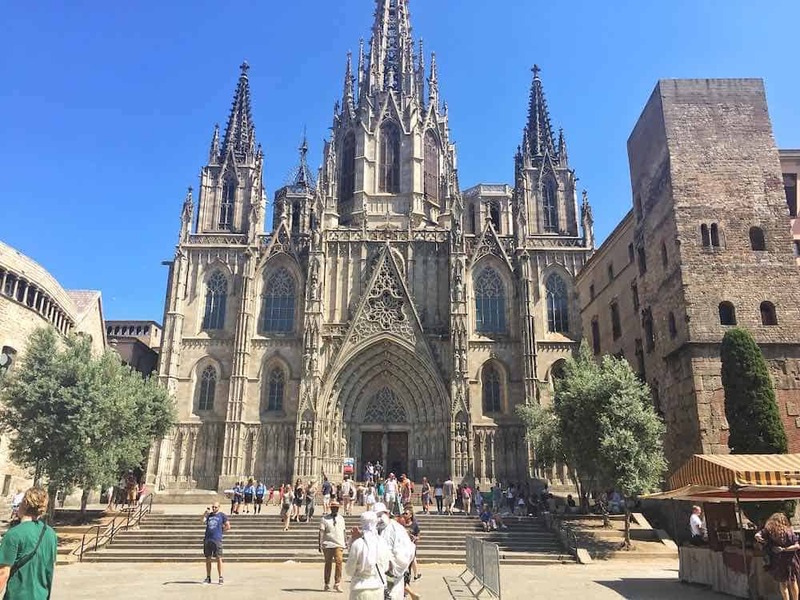 But with just 3 days in Barcelona you probably want to choose between going inside the Sagrada Familia or one of these because we’ve got lots more places to see in Barcelona in 3 days. It’s probably knocking on for lunch time and if you’re here on a weekday you’ll be able to nab yourself a very affordable 3 course lunch with the menu del dia that most restaurants serve up. And there’s plenty of fab restaurants in Eixample. Next up on the first day of your 3 days in Barcelona itinerary is the magnificent Parc Guell. It’s best to purchase your tickets online in advance to avoid queues, but also because they do sell out. It’s probably a little inconvenient for just three days in Barcelona, but if you do want to save yourself a few quid you can visit Parc Guell for free before and after the official opening times. You can find more details and lots more money saving tips in our guide to Barcelona hacks. Rounding up the first day of your 3 days in Barcelona, we’re going to explore the leafy neighbourhood of Gracia. It will feel a lot different to the touristy areas you’ve been to so far. It’s all about cool boutique shops, trendy cafes and pretty squares around here. Plaça del Sol and Plaça Virreina are great places to start and we’d recommend partaking in a pre dinner appetizer of Vermouth. There are lots of great places to eat in Gracia. And if you fancy carrying on into the evening there are loads of awesome local bars in Gracia too. Okay we’re kicking off your day 2 itinerary of what to do in Barcelona for 3 days with another big favourite, a stroll down Las Ramblas. This is the most famous street in Barcelona and although it gets incredibly busy, it’s a must when you visit Barcelona in 3 days. A wide boulevard lined with street performers and souvenir sellers, it will take you a while to work your way down and take in the atmosphere. You can start off at the top in Plaça de Catalunya and walk all the way down. 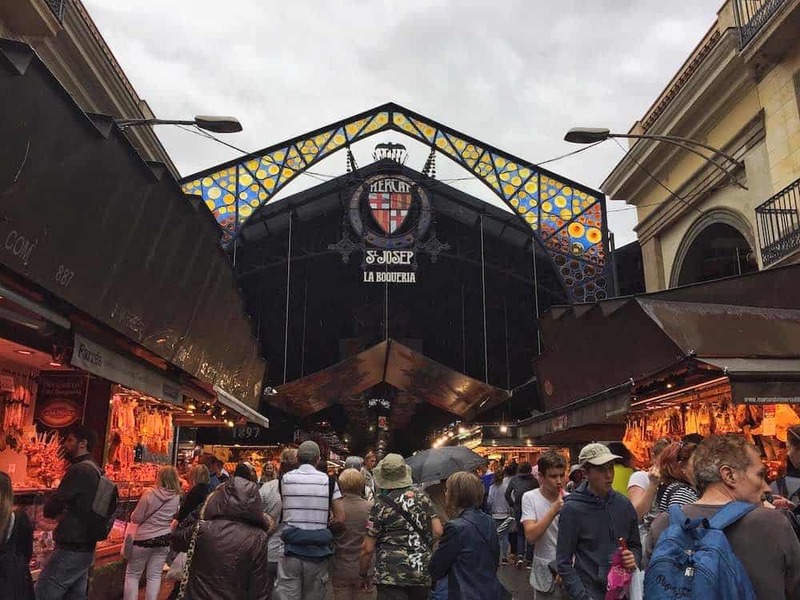 When you get to the huge foodie market, La Boqueria you’re going to want to follow the crowds and head in there. From grilled seafood platters to the best Iberico ham you’ll ever taste, you won’t be leaving here with an empty stomach. This place is huge but with around 40,000 visitors a day it gets packed, so your best bet is to head there early if you want a shot at getting a seat at one of the tiny tapas bars. If you are planning a Barcelona long weekend, just beware the market is closed on Sundays. Next up for what to do in Barcelona for 3 days, it’s time to get lost in the tiny alleys of the Gothic Quarter. Of course there are a few highlights that you should check out such as the Cathedral of Barcelona on Pla de la Seu and Plaça Reial. But the best way to explore this area is to just dive right in there and figure it out as you go. There’s a cracking restaurant around here called Restaurant El Pintor. Or if you’re not so hungry and fancy something a little different than sitting in one of the squares for a drink, check out the hidden fairy garden at Bosc de les Fades café. Before our evening entertainment on day 2 of 3 perfect days in Barcelona, we’re first going to go for dinner in another neighbourhood. 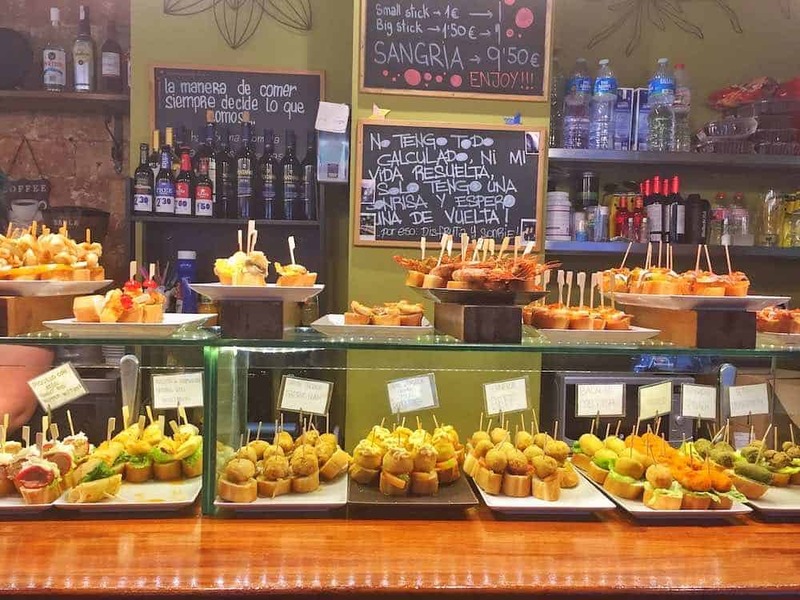 If you’ve never tried Pinchos before, they are about to become your new favourite when you get to Poble Sec. Head to the pedestrianised Carrer de Blai and you’ll be spoilt for choice for delicious Pinchos joints. Our favourite bar is called Pinchos J and is at number 26. Be sure to get here fairly early if you want a seat outside and to avoid a wait. To round off day 2 of your 3 day trip to Barcelona, we’re heading to Barcelona’s Magic Fountain Show. This impressive performance draws serious crowds so depending on what time you get here you may need to wangle your way in to get a prime viewing spot. You can check the show times here. If you have any energy left from your day exploring we recommended climbing right up to the Palau Nacional at the top for the best views of the city. Everyone will enjoy this Barcelona activity but it’s especially a must if you have kids with you. Our nephew loved it. It’s your last day in Barcelona but don’t worry, we’ve saved some of the best things to do in Barcelona until last. But you’re going to need an early start because there’s a lot to pack in. There are lots of hillside vantage points around Barcelona and we’re going to start the day by venturing up one of the best. 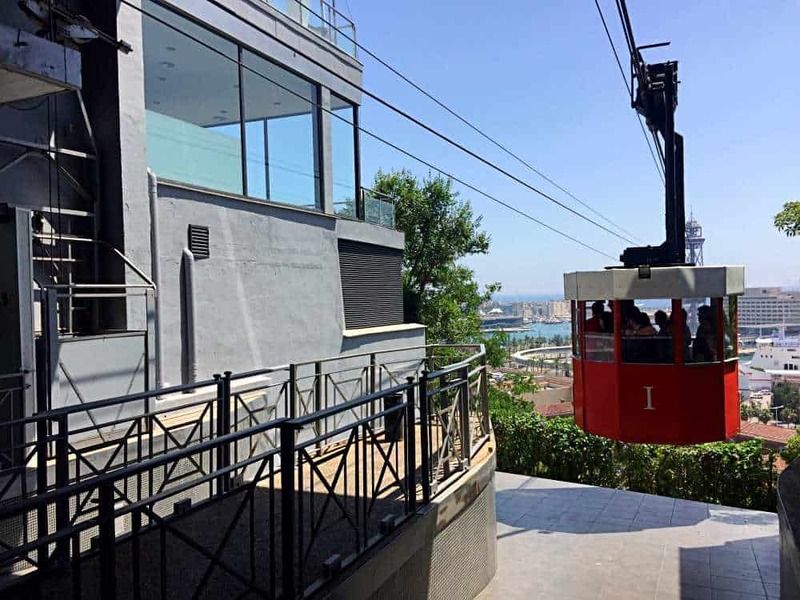 Taking the metro up Montjuic, you’ll join the funicular, a mountain side railway that will take you up the rest of the steep slope. From here, if you want to visit the very top, it’s a short but steep walk up or you can take a cable car. There’s a lovely castle at the top. The star of the show though is another cable car ride called Transbordador Aeri del Port. It cruises over Barcelona’s skyline and takes you all the way down to Barceloneta port. This doesn’t go from the top and is a short walk over to the other side of the hill from where you get off the funicular. Don’t get the two cable cars mixed up. If you take the Port Cable Car you’ll drop down more or less right onto the most popular beach in Barcelona, Playa Barceloneta. Being the most central beach, during summer months this stretch of sand is rammed. 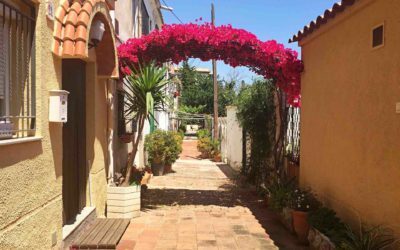 So if you want a slightly more relaxed affair we’d recommend jumping on the metro and heading down a few miles to Playa Marbella. 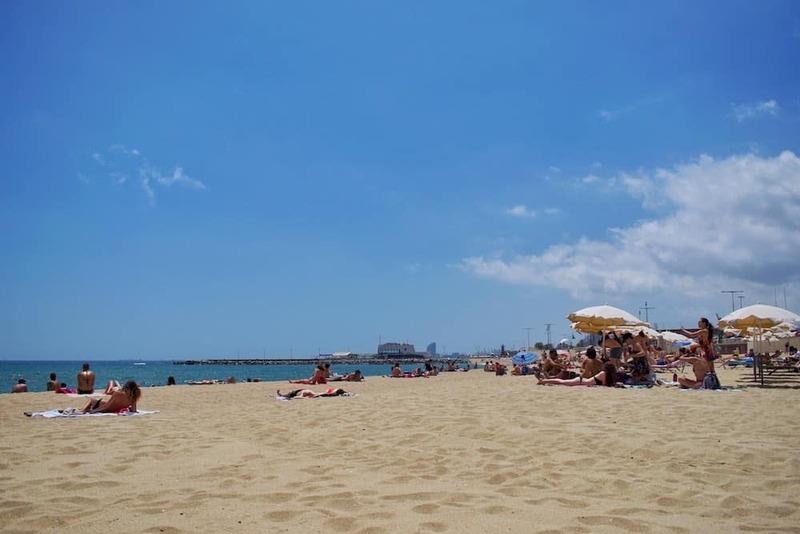 Just at the back of the beach is the neighbourhood of Poblenou. 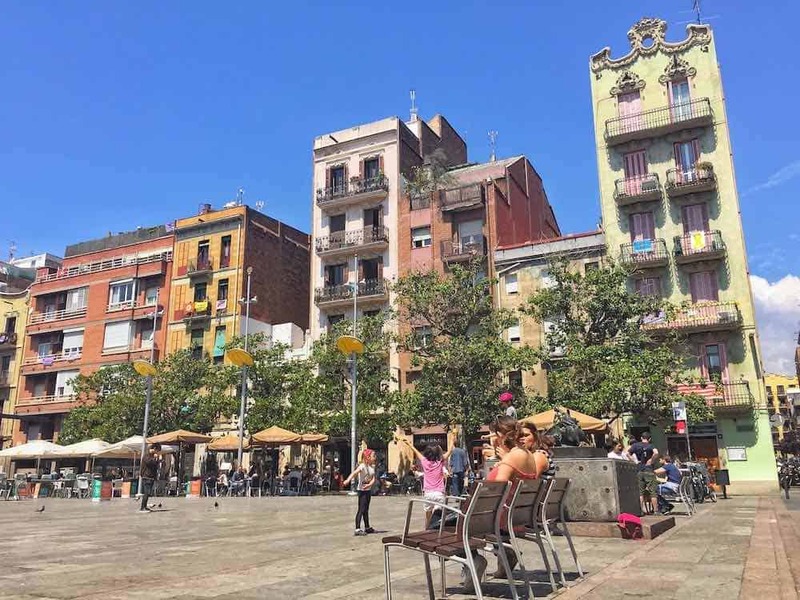 If you make your way to the main street, Rambla Poblenou, there’s plenty of fantastic restaurants to grab a bite to eat. After a wee chill on the beach while your lunch digests- not for too long mind, there’s plenty more to see on your last day – it’s time for our next stop on your 3 days in Barcelona itinerary. These beauties are two of our favourite places to see in Barcelona in 3 days. Jump off at the Arc de Triomf metro station and wander through the Arc de Triomf and down the Passeig de Lluís Companys. Cross the road at the bottom and you’ll enter straight into Ciutadella Park. You could wander around here for a whole day, though we don’t have time while in Barcelona for 3 days. But be sure not to miss the fabulous Cascada Monumental. Okay now we really have saved the best for last. It’s time to head up another of Barcelona’s hill for the best sunset view in the entire city. It takes a little effort to get there so make sure you allow yourself enough time and follow this guide to how to get to the Barcelona bunkers. 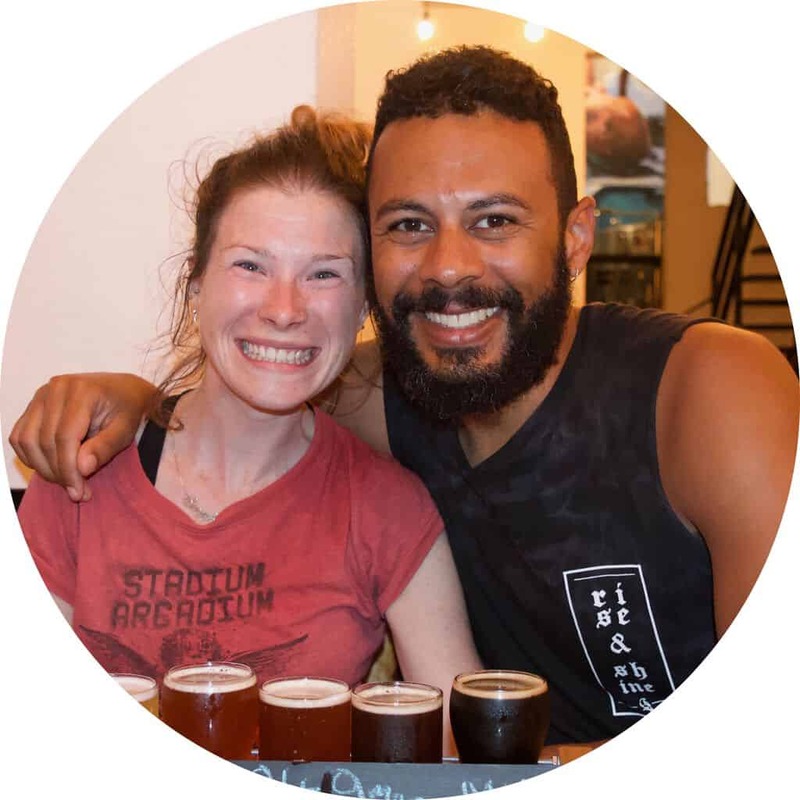 Grab some beers and some snacks to take up with you and trust us, this will be one of your best memories of your 3 nights in Barcelona. If you are a serious footy fan you may want to switch something out of this guide on what to do in Barcelona for 3 days and schedule in a trip to Camp Nou. Or if you have kids with you, you may wish to spend an afternoon hitting up Tibidabo amusement park. 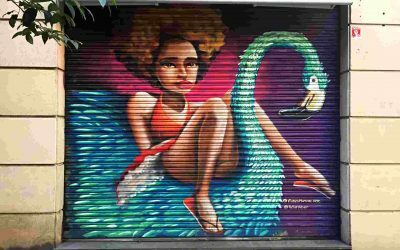 There are also a couple of other really cool neighbourhoods to explore that would be a perfect addition to your 3 day trip to Barcelona if you find you have some extra time. Trendy El Born, which is close to the Gothic Quarter, and slightly grittier El Ravel, which is nestled at the bottom of Montjuic on the opposite side of La Rambla. Most tourists opt to stay as close to the most popular part of Barcelona as possible, Las Ramblas. Which is fine, you’ll be right in the centre of the action and there are plenty of choices. 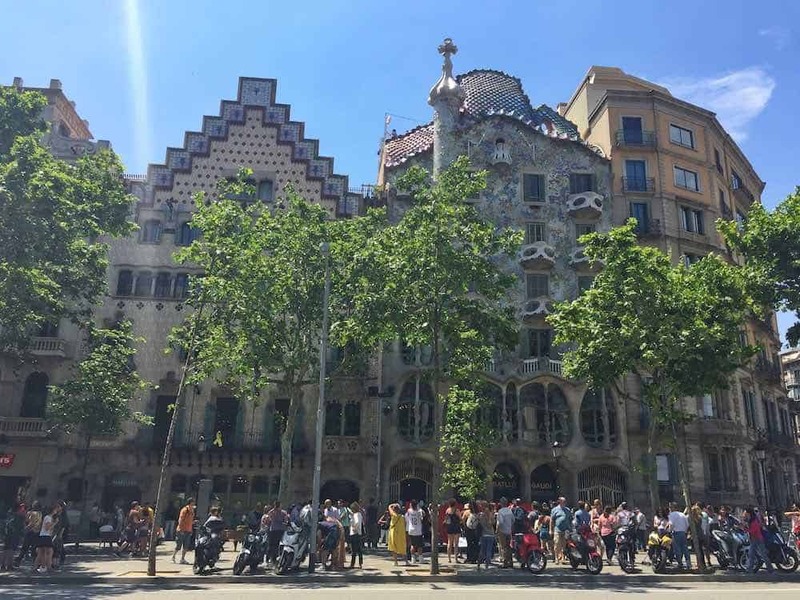 However if you are looking for a little bit more bang for your buck and to experience a more authentic side to the city, we’d recommend checking out places to stay in either El Born or Gracia. Plan ahead before your 3 day trip to Barcelona and nab yourself a Barcelona Travel Card. This covers you for unlimited travel on the metro, buses, trams and trains. Plus a return journey to the airport. It’s a must if you want to get in and around the city with ease. 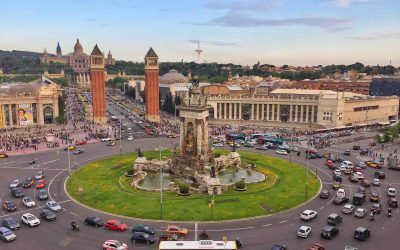 To help you plan your 3 perfect days in Barcelona, here’s a few essential Barcelona tips and travel practicalities to consider before you arrive. Exactly the same as most major cities, Barcelona is busy. And with this comes opportunistic petty crime which we saw quite a bit of in our time in Barcelona. 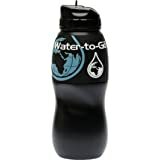 But there’s no need to be overly concerned because it can be quite simply avoided by being careful with your stuff. Petty thieves will always choose the easy options so just make sure your bags are always securely attached to you and never left unattended under tables or on the back of chairs. Don’t put anything in your back pockets and if you have stuff in the front ones, make sure you put your hands into them when in crowded areas such as the metro or while your attention maybe be distracted watching a street performance. The mains voltage in Barcelona is the same as the rest of Europe, 220 volts with 2 pin plug sockets. 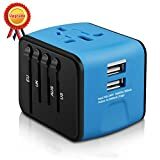 If you are visiting from the UK or US you will need an adaptor and US travellers should check their appliance supports 220 volts. The currency in Barcelona is Euros. There are plenty of ATM’s and currency exchanges all around the city. Debit and credit cards are also accepted in the vast majority of restaurants, bars and shops. If you’re travelling from the UK, you can now just use your regular mobile data as roaming fees have been dispelled with. Travellers from the US and elsewhere in the world can pick local SIMs from at the airport. But in reality, you probably won’t need one because pretty much every bar, cafe and restaurant has it in abundance. The water in Barcelona is perfectly safe to drink. There are water fountains all over the city and a really useful location app that you can use to always find the nearest one to you. 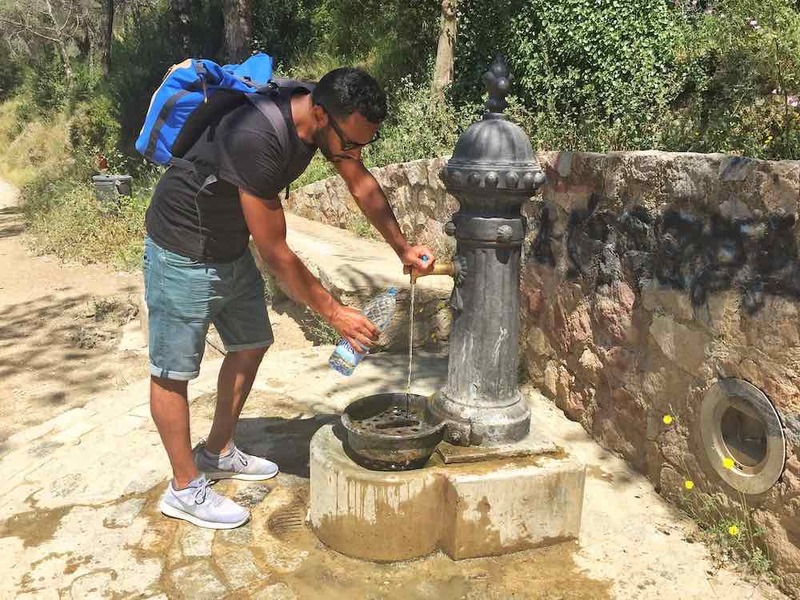 If for whatever reason you don’t want to drink the tap water in Barcelona, save adding to the world’s plastic pollution and get yourself a filter water bottle before you head off on your 3 day trip to Barcelona. Barcelona is in the Catalonia region of Spain and therefore the language is Catalan. It’s kind of cross between Spanish and French so you may recognise some words however, it’s very different to Spanish. Everyone does however speak Spanish and most restaurants have menus in both Catalan and Spanish as well as English usually. Many people will also speak English, but don’t expect it so much outside of the main tourist hubs. As with any trip abroad, make sure you have a good quality travel insurance in place. Our go travel insurance provider is Alpha Travel Insurance, they’ve always had our back wherever we are in the world. Hit us up in the comments if we can be of any further assistance in helping you plan what to do in Barcelona for 3 days. And come back and tell us how your trip went and what your favourite bits were too! Heading to Barcelona? Check out this epic list of 35 Barcelona hacks to know before you visit. They’re guaranteed to save you time, money and hassle. 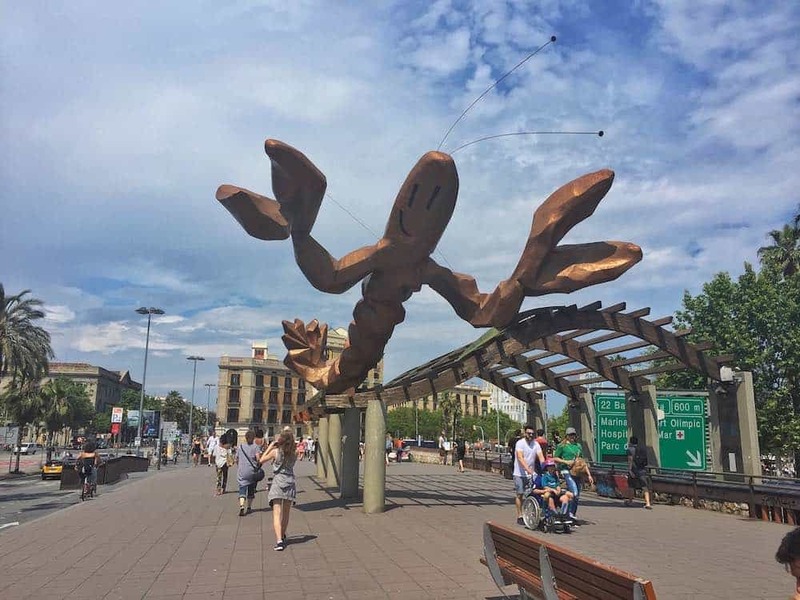 The city still has the huge crab! I remember that from my only visit there back in 2008 but I hardly did anything there. I think its time to head back there. Didnt even know there was a cable car there! Hey Danik, Sounds like it would definitely be worth exploring Barcelona again for you. There’s plenty that’s still the same but lots that’s changed in that time as well. So much to do! These are definitely the highlights of Barcelona perfect for three days there. So funny that Sagrada Familia is in the same state as I first saw it 20 years ago. Hey Nicole, yeah the Sagrada is a perennial building site! Still well worth a visit though, and hopefully one day they might get it finished. You say it isn’t really necessary to buy a ticket to visit the inside of Sagrada Familia — are you glad you did? It’s one of my biggest travel regrets that I didn’t go when I was there (walked around the outside and LOVED the architecture), but I haven’t read much about what the inside is really like or if it’s worth it. Hey Carrie. We didn’t actually buy tickets this time round but have been inside before. It really depends on what you’re interested in whether you’ll think it’s worth it, but for us the outside is the most impressive bit. Barcelona is one of my favourite cities. But it has been years since we visited. You have reminded me why we need to go back. I would love to see the Sagreda finished. And do the inside tour too! La Boqueria is indeed such a great place for colours and smells. Tapas would be fun but as you said, it is so crowded. The Magic Fountain show was one of our favourites. We loved that locals took full picnics and settled in. 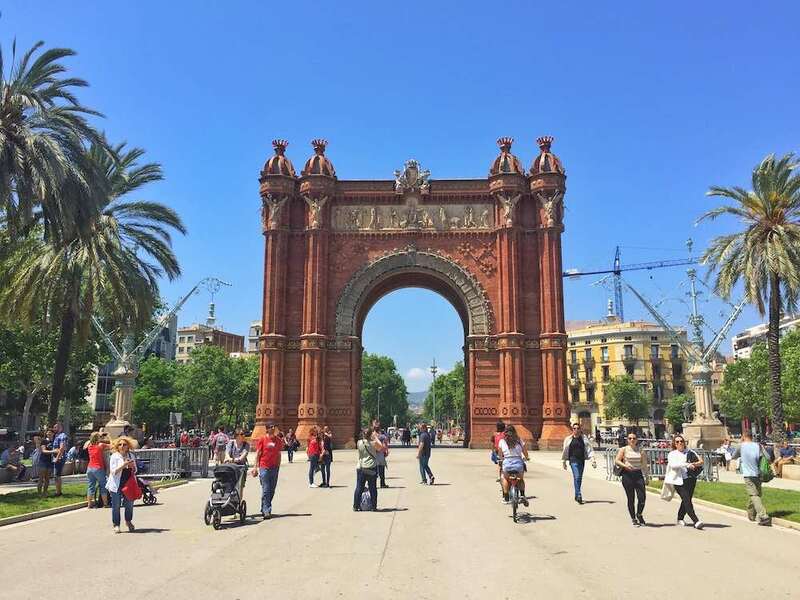 We missed the Arc de Triomf so that will be on the return visit list for sure. Hey Linda, agreed, Barcelona is one of our favourite cities as well! They’re still quite a few years off finishing the Sagrada though, so maybe time your return visit for when that’s done 🙂 And definitely don’t miss the Arc de Triomph next time, it’s stunning and in quite an interesting area next to Chinatown and a great park. Enjoy! Ah, Barcelona. One of my favorite European cities. I simply love it there and it is a place that my wife and I have said we could easily live in for a while. La Boqueria might be the best market I’ve seen in all of Europe. The variety of food, the colors, and the quality is simply outstanding. Hard not to have fun in a city like Barcelona! Hey Drew, we’re with you and your wife on that one – if we were ready to base ourselves somewhere permanently Barcelona would be somewhere near the top of the list. And we think La Boqueria is awesome too, so much going on and a great selection of delicious food and drink. Barcelona is amazing. I was there far too long ago but many of the sites you suggest remain the same. 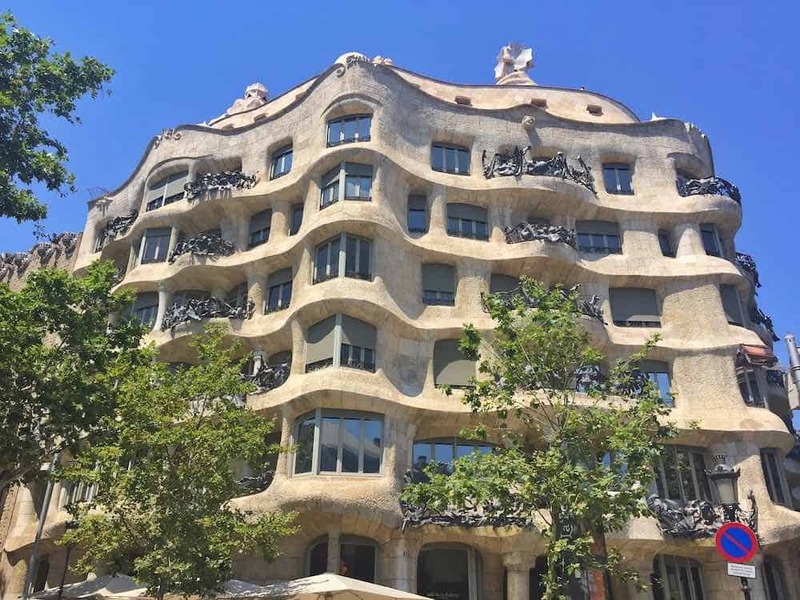 How I loved seeing ‘Gaudi’s building in person and wandering the Gothic district. Next time I’ll check out the market as well. 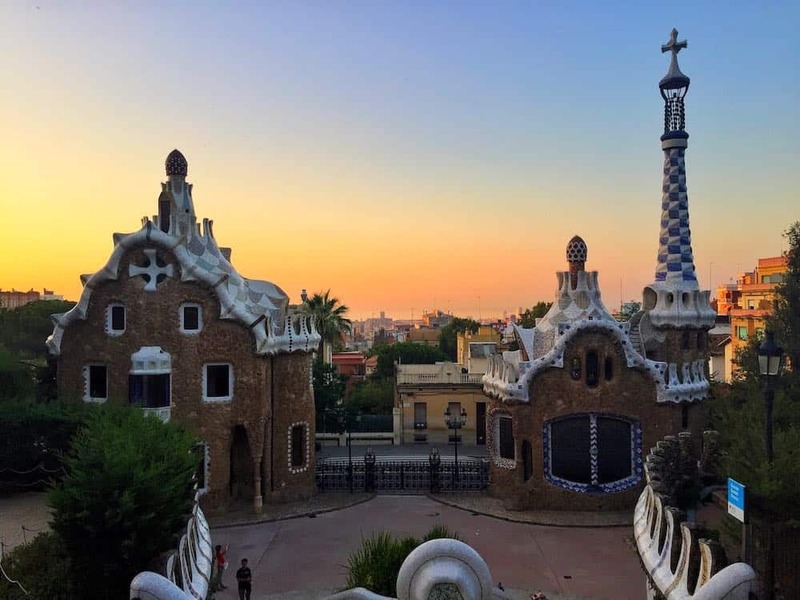 Barcelona is one of Europe’s most popular cities – and with the recent increase of city breaks it’s getting really busy; no wonder, there is so much to see and to do and you can even enjoy a beach right in the city. The Gaudí buildings are beautiful, but usually packed. But they have also less crowded places like the famous Tapies exhibition and, of course, Miró – there, also the views are grand. Hey Renata, it’s definitely busy around the main attractions but you’re spot on, it’s easy to escape the crowds if that’s what you want. Thanks for the additional suggestions as well! This is a great round-up for those visiting Barcelona for a short time. I didn’t realise Parc Guell had a charge now, many years ago when I visited it was free. But I suppose it has to charge with the popularity! 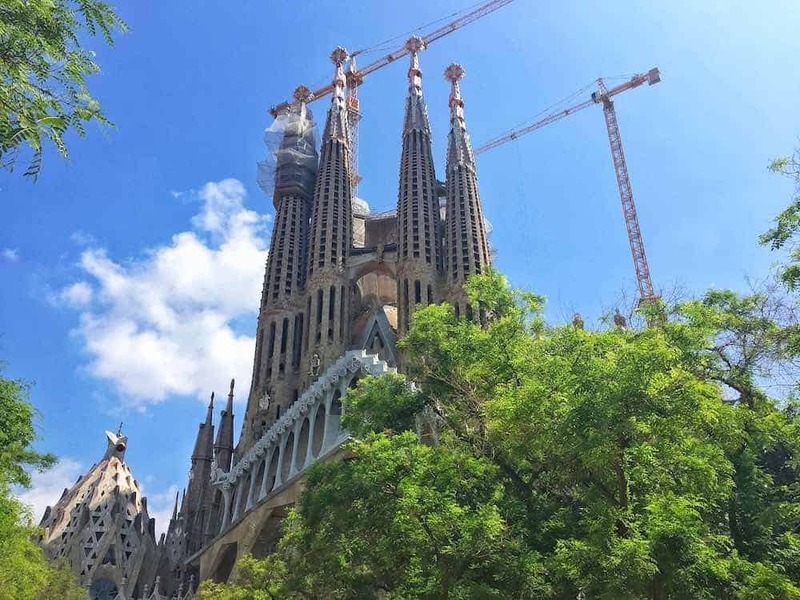 I hope to one day see Sagrada Familia finished – glad it will (hopefully) be in my lifetime! Thanks Hannah. Yeah Park Guell introduced the entrance fee relatively recently and I think part of that was to limit visitor numbers as it gets more popular. Who knows when the Sagrada is going to be finished though, that date just keeps getting pushed back! So much incredible architecutre in Barcelona! I would struggle to get everywhere in three days – but a great itinerary you have suggested here. I think the beach would be horrendous in the middle of summer because of the people – even though it is beautiful – but I think spring or autumn would be perfect – still warm, but less crowded. Good idea to head up the cable car to take in some views of the city! Hi Juliette, you’re right three days is a squeeze but many visitors only come for a long weekend or short stopover so we wanted to try help those people to experience as much possible. But we’d highly recommend staying much longer! Spring and autumn are definitely great times to visit, less people, slightly cooler but still plenty of sun, and cheaper prices. Win win win. 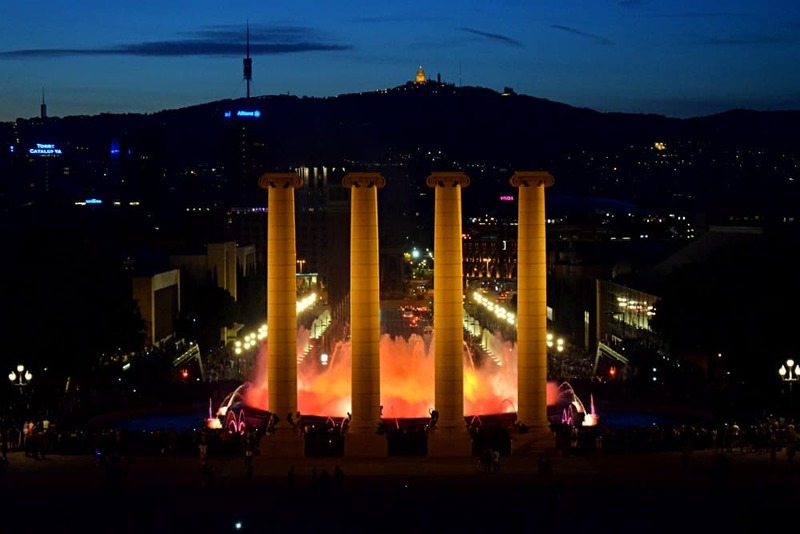 Barcelona is always worth a few days and your itinerary is quite useful for first time visitors. I went in winter what was perfect. It was not too cold – and there were not so many tourist. Even no need to buy the Sagrada tickets beforehand. Hey Natascha, we’ve never been in winter but imagine it’s a totally different experience so would love to give it a go. Hey Ami, Barcelona is definitely a foodie paradise! But you’re right so much culture to explore as well, truly something for everyone here. Very good article on Barcelona, trying to fit all the attractions in 3 days is kinda a challenge!! 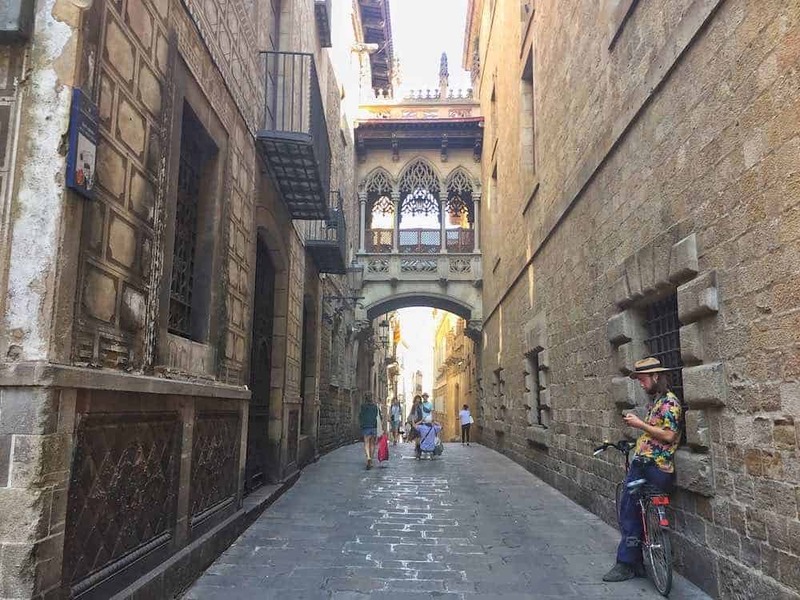 I am a local from Barcelona and totally agree on the main attractions that you’ve mentioned..
My favorite might be the Gothic Quarter because of its special atmosphere, tiny streets and all the art that there is! Thanks for all the info of your articles! Oh wow! So great to have approval on the itinerary from a local. Thanks for reading & commenting Nicole!